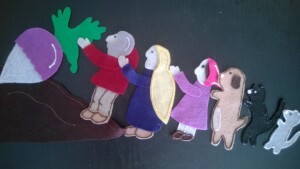 Using felt stories with toddlers has been an ever evolving adventure. I started off pretty hesitant but have grown more confident as I’ve found ones that work well for this age group. The little ones really love felt stories and songs. I’m always amazed when a rambunctious toddler pauses and gives their attention to the felt board when I pull out the colourful pieces. 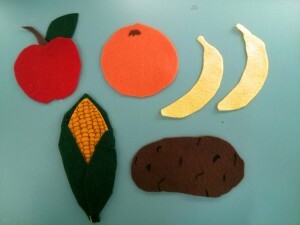 So here is my second round of felt stories I use in toddler storytime. I got on the Little Mouse train last year and it’s been full steam ahead. I’m not joking when I say this is the toddlers’ favourite part of storytime. The link takes you to a post I wrote aggregating all the different versions I could find. I’ve also done a ladybug version in the spring and summer to much delight. 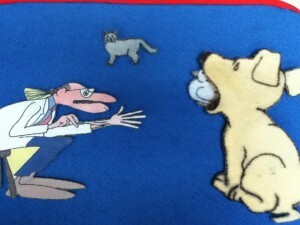 The book is storytime gold, so it’s no surprise that the felt story is too. With toddlers, I teach them a little dance to accompany the refrain which makes it more interactive. Because most of them have read the book it’s a great chance to talk about telling stories in multiple ways. You can get the template here, but I also love these versions by Library Village, Libraryland, and Miss Mary Liberry. 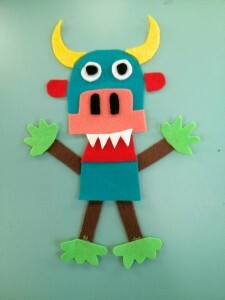 I love using monster felt stories in the fall around Halloween time. My favourites are Tickle Monster, Go Away, Big Green Monster, and Nighty Night, Little Green Monster. All three of these stories are based on simple shapes, making them a cinch to whip up even if you’re a novice felt story maker like me. If my library did a craft after storytime I’d definitely do some sort of open-ended shape project to compliment these felts. Very simple hats and a present I made! Before we do this story we practice cheering, “Hooray for Hat!” so the repetition is more engaging. Laura’s version is detailed and beautiful! 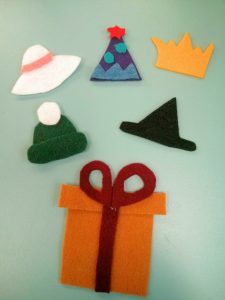 One way to adapt this story is to grab any assortment of animals from other felt stories, make five simple hats and viola! 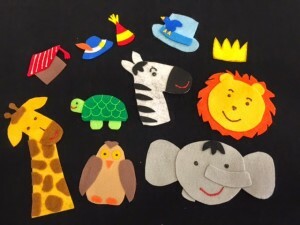 I’ve read the book one week and then shared the felt story the second week with different animals to encourage caregivers to play with the stories they read. Based on the book series by Edward Gibbs, this felt story has a similar appeal to Little Mouse. With toddlers, I tend to make up my own hints rather than strictly follow the text of the book so we can move at our own pace. I place each sea creature behind the black screen so just a little bit shows through. Caregivers are encouraged to help their toddlers guess, and I mention how great these books are for developing the early literacy skill of talking. Email me for the pattern! This Russian folktale is short enough for my wiggly toddlers. Sometimes I’ll tell caregivers to plop their toddlers in their laps and then we all pretend to pull the turnip out together. It’s more interactive and encourages shared storytelling. Storytime with Ms. Jenna shared her beautiful version! You can get the template here. This is an oldie and a goodie by Charles G. Shaw. I love the repetition of the phrases, and I encourage caregivers to help their toddlers make guesses about each piece. 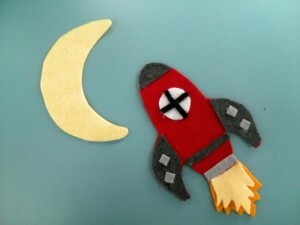 Visit Storytime Katie to learn how she tells it and to get a link to the pattern. 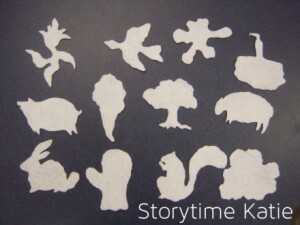 One of my co-workers came to my storytime where I did this felt story and she said that night her two-year-old daughter was retelling the story with her washcloth in the bathtub. Heart.Melted. This story can be a little long for toddlers, but getting them involved in making all the animal sounds helps hold their attention. Miss Mary Liberry makes a pocket inside George where you can store all the animals. 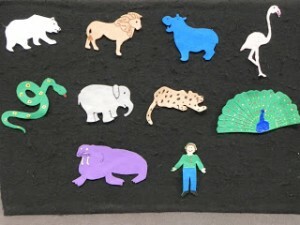 I also love this foam board version on Libraryland! This is the sequel to Brown Bear, Brown Bear, What Do You See? It’s another great one for talking about animal sounds. It works well for toddlers because you can start and stop at any point in the story. If I’ve got a rambunctious group, I may only do a few animals or split them into groups and pull them out at different times during storytime. Kids especially love playing with these after storytime. Check out Lisa’s version and all her amazing extensions activities! You can also get the patterns here. I’ve made a bigger effort these past few months to put up felt pieces for the songs we sing too. Check out some of my favourites. I find it a great chance to practice the vocabulary in the songs before we start singing. With toddlers, the extra visual cue helps them make the connection between the words and the objects. So many different verses to sing! I put up the moon and rocketship first and ask the kids if they know where we’re going. Then we warm up our engines (rub our hands together) and get zooming. For each verse I add a new piece to the felt board. This has slowed down the song but it’s working – we have more time for conversations about what we need to go to the moon, stars, and sun. Do you have a favourite felt story or song to use with toddlers? I’d love to hear about them in the comments! 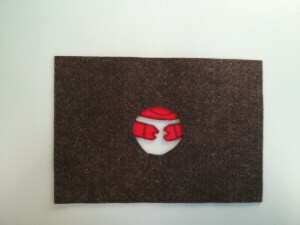 Hi there please email me any patterns for felt stories. 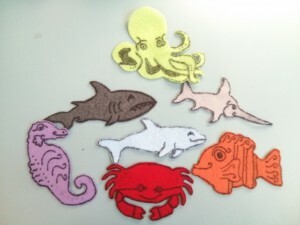 My son’s favourite song is slippery fish if you have that one it would be great but any will do because I want to make a big felt board for him. I’d like to get the pattern for I Spy. Hi Christina, I’ve sent you an email with the patterns. Enjoy! 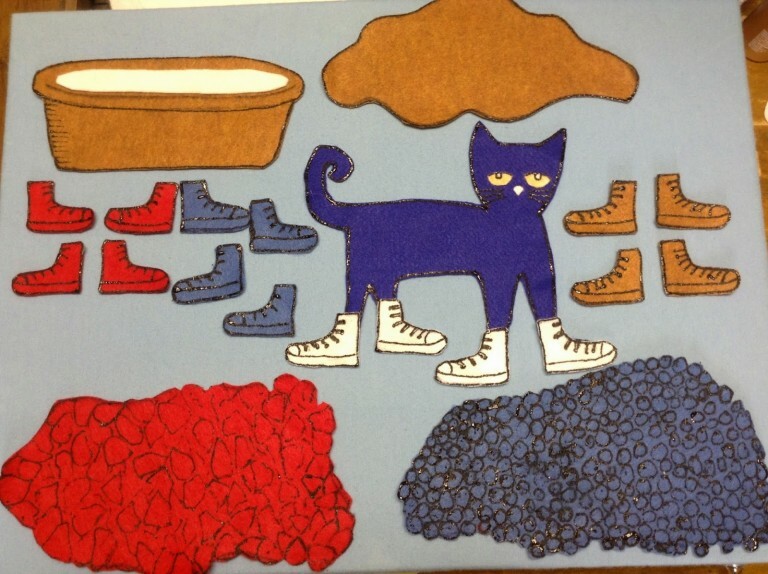 I’m planning to start a Toddler Storytime this fall and would love to have the pattern for I Spy with My Little Eye. You got it! I sent you an email. Hi! Can I also get the I Spy pattern? I’ve just split baby storytime in half–it was previously 0-2 years old, and it just wasn’t working. Starting this month, I’m going to have Book Babies for 0-1 (or whenever they start walking) and Toddler Time for 1-2 (or 3). The walkers just don’t want to sit on a lap, so I’m thinking toddler time is going to be more movement-based, but I still want to incorporate flannels. I’ve gotten so many great ideas from you over the years, and these are no different…so thank you, thank you, thank you! You ladies are storytime rock stars!!! No problem, Anna, I will email them to you. And thank you for your kind words! Does anyone have patterns for the stories … We’re Going on a Bear Hunt, This Is Not My Hat, and The Very Hungry Caterpillar? Hi Deborah, I suggest googling those titles to see if anyone has shared a felt story version. You can also browse the Flannel Friday Pinterest boards or ask people in the Storytime Underground Facebook group. Not many people read the comments here, so it’s unlikely anyone else will respond. I know there are tons of versions of The Very Hungry Caterpillar online that will come up with a simple Google search. I’d like the I Spy pattern please. Thank you for being such a great resource. Could you send me the pattern for I Spy with my Little Eye?